One of the fastest-growing cities and a major business hub in Telangana, Karimnagar is located on the banks of Manair river and is home to several tourist places. Therefore, it makes for a beautiful weekend getaway. Even though it has a history dating back to the period of the Satavahanas before the Common Era, you can find only a few ancient places within its boundaries. It was ruled by several other dynasties including the Mauryans and the Nizams of Hyderabad in the past. Therefore, this beautiful city boasts of great historical as well as cultural significance. As the enchanting Manair river flows through the city, it also allures several nature lovers and landscape photographers. Despite all these attractions, it remains unexplored throughout the year. 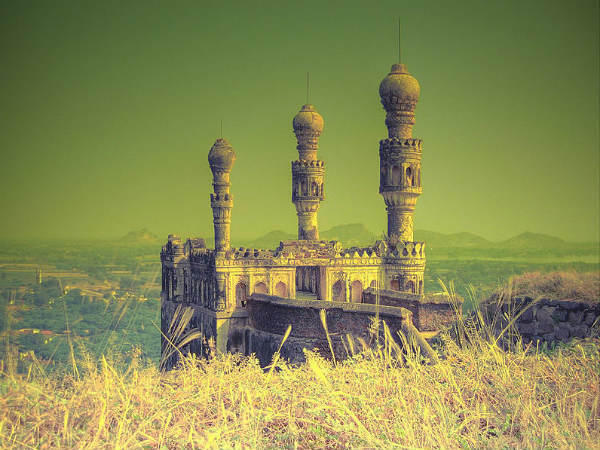 How about planning a trip to Karimnagar this weekend? Read on to know more about it. The best time to visit Karimnagar is from October until the end of February. During this period, the climate is perfectly cool and pleasant. Therefore, you can explore its tourist attractions comfortably. As it experiences a hot weather during the summers, it is not a preferred tourist spot during the summer season. By Air: The nearest airport to Karimnagar is located in Hyderabad itself. Therefore, there is no option of travelling by air if you are starting your journey at Hyderabad. You can take a train or a bus to reach Karimnagar. By Rail: Karimnagar has a railway station of its own. Hence, you can catch a direct train from Hyderabad to Karimnagar. The journey will take an average time of 6 h.
By Road: As Karimnagar has a well-maintained network of roads, you can easily access it by road. Route 1 will take 1 h lesser in comparison to the other route, thereby making you reach your destination within 3 h and 30 min, it is preferred by most of the tourists. Once you are on your way, you can also take a break at the following places and witness their beautiful tourist places. Shamirpet is a small town at a distance of about 35 km from Hyderabad and 133 km from Karimnagar and is popular amongst tourists for Shamirpet Lake, which is an ideal picnic spot and is visited by hundreds of locals and tourists over weekends, and Jawahar Deer Park, which is quite popular amongst children. If are travelling with your family, then it is a perfect spot to take a break. Wargal is a small village in the Siddipet district and is immensely popular for Wargal Saraswati Temple, which is a site of great religious importance and is visited thousands of Hindu devotees every year. The temple is located atop a small hillock and is dedicated to Goddess Saraswati, the goddess of education. Wargal is located at a distance of about 60 km from Hyderabad and 115 km from Karimnagar. Once you get within the boundaries of Karimnagar after travelling a distance of about 163 km, following are the places you must visit. The list includes places of historical, natural as well as religious significance. The most prominent historical site in Karimnagar is Elgandal Fort, which was built during the Kakatiya dynasty and was ruled by several other dynasties including the Nizams of Hyderabad and the Mughals. The fort is built of stone and is lying in ruins today. As per local legends, the fort is said to have a tunnel which opens up in a small village named Manakondur. This tunnel was built to escape in case of any invasion. If you would love to escape the busy streets and roads of Karimnagar and relax in a natural atmosphere, then Lower Manair Dam Lake is the place you must visit. Surrounded by undulating hills and green vegetation, it is a perfect place for landscape photographers and nature lovers. Do you know Karimnagar is also famous for producing silver filigrees? These filigrees are prepared by locals and are unique in their designs and patterns. Therefore, they are popular as Karimnagar silver filigrees. How about getting yourself to the local markets and buying some of these beautiful handicrafts? How can a historic place be complete without religious sites? Yes, Karimnagar is also home to several beautiful temples and religious sites. The list includes Narasimha Temple, Anjaneya Temple, Veerabhadra Temple and Swayambhu Narasimha Swamy Temple. You can also visit the beautiful deer park of Karimnagar.